It’s Summer 2017 and The Oyster Box’s calendar is jammed with fabulous experiences to make the most of those long hot days and warm sultry nights! Step into 2017 at our award-winning Spa for a SUMMER GLOW full body exfoliation. Using olive oil, cane sugar and lemon juice, you’ll be wrapped in a body mask containing turmeric, sandalwood oil, milk and gram flour. A scalp and face massage using heated marble stones follows while the body mask ‘does its work’ to be finished with a luxurious moisturizer. All treatments booked include use of the plunge pool, tranquility lounge, and spa snack buffet. February is the month of love, so treat your loved one to a VALENTINE’S DINNER & DANCE any evening from the 10th-14th February. Accompanied by a six-course plated menu, the silky-voiced chanteuse, Cat Simoni, will put you in the mood for romance. Cat gets right ‘Under Your Skin’ with a selection of unforgettable hits about ‘love’ from Andrew Lloyd Webber, Barbra Streisand, Billy Joel, Ella Fitzgerald, Elton John, Francoise Hardy, Freddie Mercury, the Gershwins and, of course, Frank Sinatra. A MASTER CLASS at The Oyster Box, is one of the hottest tickets in town! Brush-up on your satay, sushi and stir-fry skills and impress the family with your ASIAN COOKING skills. The afternoon begins over sushi and sparkling wine in The Oyster Bar, followed by a tutorial in the Kitchen. Celebrate your togetherness during this special Valentine’s month with a ROMANTIC B|TOGETHER couple’s rose quartz massage in The Spa at The Oyster Box. Followed by a glass of sparkling wine; it’s the perfect expression of love! All treatments booked include use of the plunge pool, tranquillity lounge, and spa snack buffet. Our SPA LADIES’ NIGHT PAMPER PARTIES are ladies’ nights with a difference! Treat yourself or bring your friends and make an occasion of it. The evening includes a glass of Bubbly & Canapes on arrival and a choice of two treatments. Early booking is encouraged…these popular events fill up fast! Indulge in a whacky weekend of deliciousness at the SKABENGA AND THE CHOCOLATE FACTORY HIGH TEA in The Palm Court! Skabenga, our resident cat, welcomes you to an oompa-loompa tea-time extravaganza, in the magical world of Willy Wonka... the world’s most loveable candy-man. Delectable sweets and treats, psyche-licious cakes and fountains of bubbling chocolate are yours to enjoy for the entire weekend. Join executive chef, Kevin Joseph, for his CURRY MASTER CLASS and a three-course dinner. Watch as he expertly demonstrates dishes incorporating Indian-style cuisine. Your dinner will include some of the dishes you’ve seen him prepare and you will go home armed with recipes, hints and tips for recreating your meal at home. The Spa’s HEALING HIMALAYAN SALT RITUAL starts off with a full body Himalayan salt exfoliation, followed by a Back of Body Massage using heated Himalayan Salt Stones. The healing properties in the salt, helps to relax the muscles and aid in detoxing the body. All treatments booked include use of the plunge pool, tranquility lounge and spa snack buffet. The Lighthouse Bar is open daily for cocktails and snacks, with live music on Thursday and Friday evenings from18h30 - 21h30. Sit back and enjoy live music each evening (18h30 - 21h30) from Monday to Friday, in The Oyster Bar. The Evening Indulgence in The Palm Court, makes for a perfect post-dinner or late afternoon treat. Stop by the tranquil Palm Court and make your selection from an assortment of mouthwatering pastries, freshly baked scones with jam and cream and exquisite cakes, served with your choice of tea or coffee. Our gift vouchers are perfect for all occasions. Choose from a tempting selection of experiences including food and wine discovery evenings, traditional afternoon teas, rejuvenating spa treatments or a monetary voucher to spend while visiting the hotel. Purchased online or at the hotel, vouchers may be emailed or sent beautifully presented to the recipient by post. 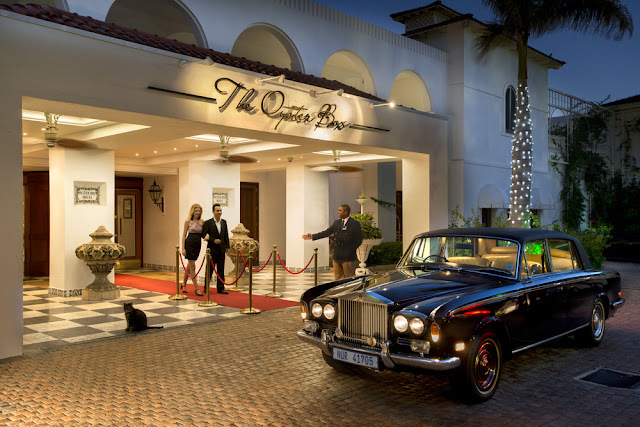 The Oyster Box - is one of Africa’s most distinguished hotels. 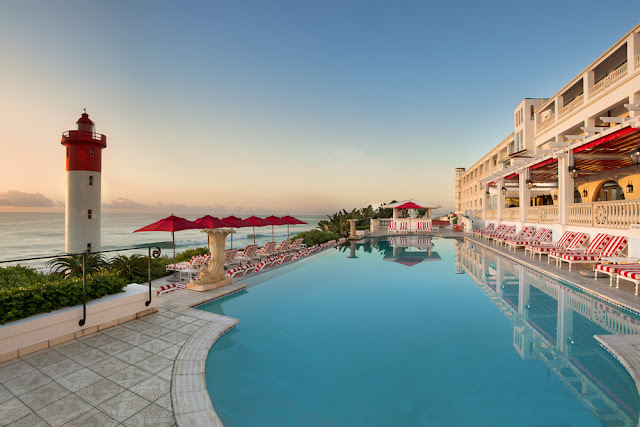 With an abundance of colonial charm, it stands majestically on Umhlanga’s prestigious beachfront, with lush landscaped gardens and direct beach access. The hotel is conveniently situated in relation to the Natal Midlands and the Drakensberg Mountains, as well as game parks and historic battlefields. The hotel boasts 86 luxurious rooms and suites and a magnificent Presidential Suite, each individually created to blend colonial charm with modern convenience. 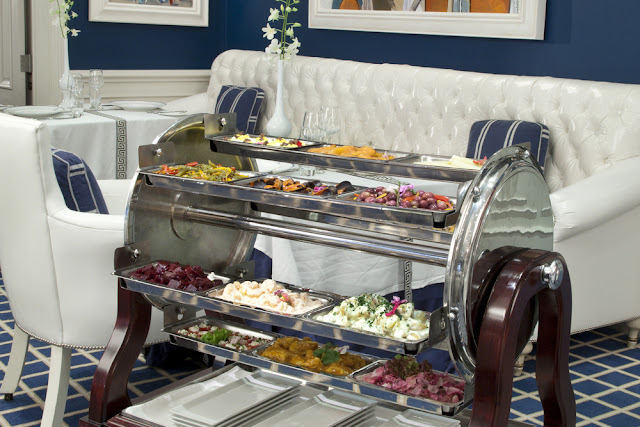 Renowned for its generous hospitality, attentive service and exceptional cuisine, The Oyster Box offers a variety of superb restaurants and cocktail bars for fine dining or more casual occasions. Facilities include a magnificent Spa, offering the ultimate in wellness and beauty treatment options, two swimming pools, luscious and tropical gardens and an intimate, 24-seater movie theatre. In addition, the family-owned hotel is KZN’s premiere wedding and honeymoon destination and the ‘venue of choice’ for the conference and business markets. Become a fan of The Oyster Box on Facebook and Follow The Oyster Box on Twitter View a complete list of Awards of Accolades for The Red Carnation Hotel Collection.